The original super concentrated one-drop odor counteractant effectively eliminates all malodors. 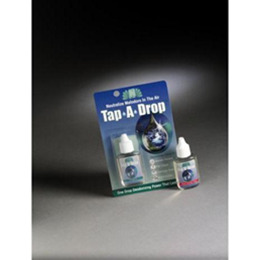 Tap-A-Drop contains our proprietary odor counteractant, Super N Concentrate, which provides the most technologically advanced method of odor neutralization. One drop per 1000 cubic feet will neutralize malodors up to 24 hours.